They say there are two types of fisherman - those who fish for sport and those who fish for fish. Now it’s time to find out which one are YOU! 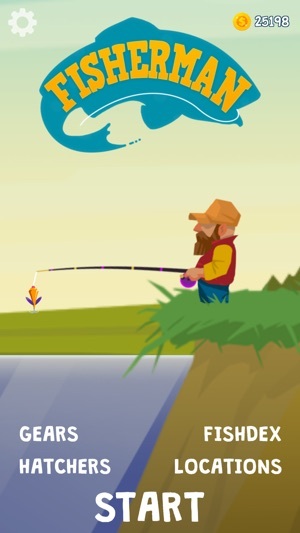 Welcome to the wet and wild world of ultimate fishing, where you play as the FISHERMAN! 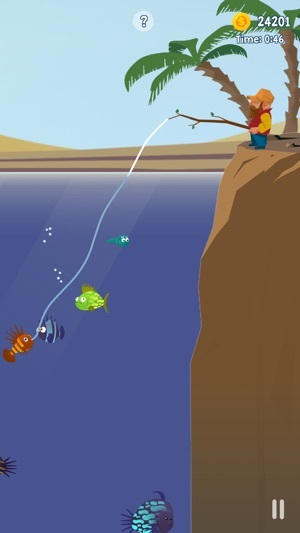 You are the master of the fishing rod, line and lure. With real physics. FISHERMAN is a spiritual sequel to an old game that many people in Finland remember! It was a game where gnome type of troll just sat fishing for her wife. Or was it an albino hippo? It was so long ago that my memories get hazy... But events set in destiny made this game come back to life in this new form. This time you don't sit and you are not a troll. You stand up and you are human (kinda) and most importantly - you fish again! With real physic. Randomly generated whoppers. Just like it was always meant to be. Take your time. Fishing is not about skill, it’s not about fast reflexes or polished technique. 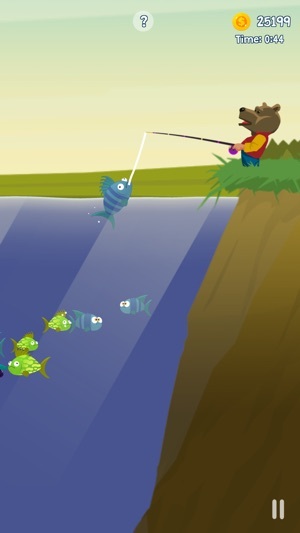 Fishing is about taking your time, relaxing, catching and hatching rare and exotic fishes and by that slowly progressing towards a new location. Find new fishes, purchase better gear, try new looks and venture to new areas in search of almost legendary fishes, that nobody has ever seen. - Costumes to wear when fishing. - Juicy larvas to eat! - Gather coins someone has dropped to sea. - Note to above line. Fishes eat those, not you as player. We don't care what you do at home. 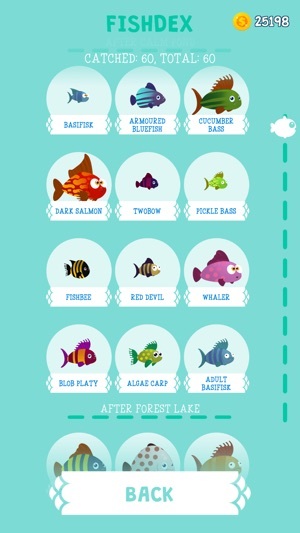 - Fishdex to have way to collect all. Also fishdex generates mystically coins to use. 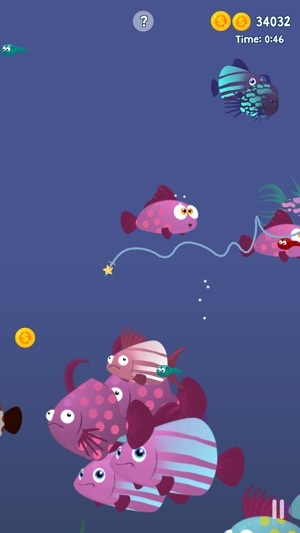 Check the game, meet us www.ultimatefishmaster.com and give your ideas to be even better!! Tap empty space five times in row on hatchers screen to get secret costume. Scientist has found that new fish breeds have been invading beaches! Some seem dark and evil but we hope they are actually nice. Only two scientist hands where eaten by them. - So far we have counted 15 new fishes. Collect hem also all and keep fingers way when catching them. - FHU screen tuned. 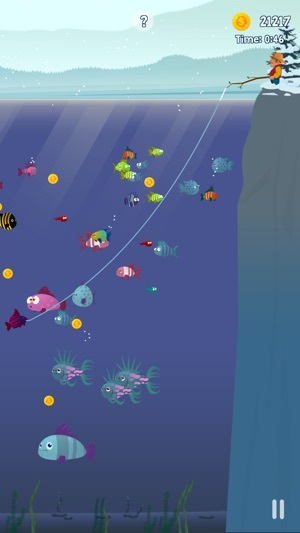 (Fisherman Heads Up) screen have been improved by adding fish money. - Lots of ui and bug fixes to make gameplay smooth as side of Queensland lungfish when lubricated with palm oil and grilled 25 min in medium oven. Мешает реклама - выключите интернет. Уже как минимум месяц у меня данная игра. Сначала интересно, качаешься, развиваешься, но по сути геймплей однообразный. Убить время на часок точно можно, дальше уже изредка на 10 минуток захожу. Четверочка.